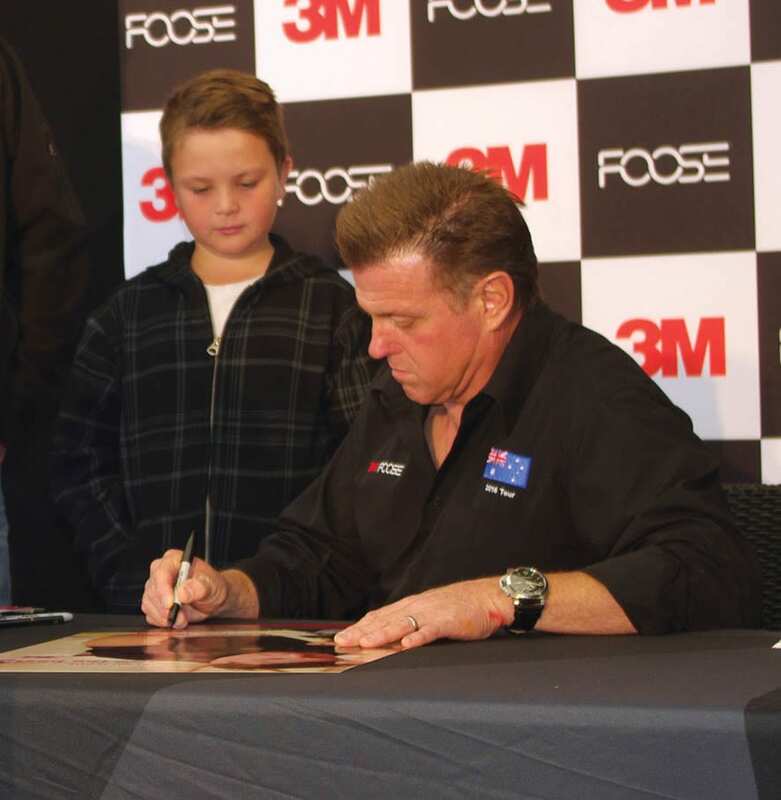 Chip Foose, owner of Foose Design and star of the very popular Overhaulin’ TV show, visited Sydney in May as a guest of 3M Australia in his role as 3M Global Brand Ambassador. David Newton-Ross had the opportunity to talk to him at a special media morning at the 3M Innovation Centre in Sydney. Spray painting apprentice Jordan Atkins was invited along by David to meet her hero Chip Foose and sat in on the interview.